A curated up to date Bhutan travel guide. Must read for every visitor planning to travel to Bhutan. So, you are interested in traveling to Bhutan but have no clue about how to plan your trip? Look no further, this guide has all the tips you need to help you plan that perfect holiday to Bhutan. Disclaimer: Some parts of this travel guide may not apply to travelers from India, Bangladesh or Maldives. The “minimum daily package tariff” and “mandatory tour operator” rules do not apply to visitors from these countries. What and where is Bhutan? You probably know what and where Bhutan is, as you won’t be here if you didn’t. Still, lets try to answer that question. Bhutan is a very small country in South Asia, specifically the Himalayas, stuck in between two of the largest nations in the world; China to the north and India in the south. It is inhabited by some 700,000 Bhutanese (a happy and friendly lot) and surrounded by mountains all over. Mostly known for its pristine environment and probably the only nation that adopted Gross National Happiness (GNH) instead of Gross National Product, Bhutan has also become a popular tourist destination due to its very unique culture and tradition. Tourists also regard the Bhutanese as one of the friendliest people on the planet. Ok, lets not bore you, you can read more about Bhutan here. Tourism in Bhutan started in 1974 with about 300 tourists visiting the country. Since then tourist arrivals have been gradually increasing with about 250,000 traveling to Bhutan in 2017, which is about one third of the population of Bhutan. You just cannot book your flights to Bhutan and travel around the country on your own. You must book a guided package tour through a Bhutanese tour operator/agent and it should be paid in advance before your arrival. The Bhutanese tour operator should be registered with the Tourism Council of Bhutan (TCB). You can also book through an overseas travel agent that has a local partner in Bhutan. Tip: Book directly through a local Bhutanese travel agent, save costs on commissions added on by middlemen. The government has prescribed a minimum daily package rate that you must pay for your tour. This rate depends on your travel dates. If you travel in a group of more than 11 people or if your tour duration exceeds 8 days you may be eligible for various discounts. Discounts are also available depending on your entry and exit points. Children below 12 years are also eligible for discounts. Keep that in mind when you ask the travel agent for a tour quote. Not all travel agents may pass those savings on to you. Tip: To differentiate themselves (as they can’t do on price), tour operators may provide extras. So, feel free to ask. How does the tour booking process work? First of all, you need to look for a travel agent in Bhutan. With hundreds of them around, its no easy task to search, filter and decide on one. You can start by looking at the tour operator directory maintained by the Tourism Council of Bhutan. You should check out their website, see what packages they offer, what they specialize in (cultural, trekking, adventure, etc.) and see what other services they provide. Choose a few and contact them, you can probably gauge the quality from the response and interactions you have with them. If you still haven’t found one, we can help you lift that burden off you. :) We are also a travel agent in Bhutan, fairly new as a company (hey, everyone has to start somewhere), but run by people with lots of individual experience in the travel sector. Check out our tour offers on our website. Tip: Avoid travel agents that offer you a rate that is much lower than the minimum package rate. They are probably pulling tricks. You don’t want to be party to such practice and break laws before you even set foot in Bhutan. When you are discussing your tour plans with your tour operator, you will be need to tell them exactly where and what you want to do on your tour. Unless you are joining a group, most tour operators will be flexible enough to customize the tour exactly as per your need. Once you have finalized your trip itinerary, your tour operator will ask you to make your tour payment so that they can begin applying for your tourist visa to Bhutan. Don’t be alarmed, the full payment for the tour is required, without which TCB will not process your visa application. You will also be transferring the payment to TCB’s bank account and they’ll hold it until you have entered the country, completed your tour and departed the country. Tip: Ensure you are transferring the payment to TCB’s bank account (the ultimate beneficiary will be the tour operator). Since 2017, you can also make online payment using Bank of Bhutan’s payment gateway. Bhutan typically enjoys four distinct seasons every year. Western and central region along the temperate climatic zone generally have warm days and cold nights during winter season and hot and humid days and cool nights during summer season. Light snowfall can be expected during the winter months in the western and central region while the highlands and the mountains in the alpine region see snowfall most of the year. Spring and fall seasons in Bhutan have the most favorable weather conditions for any outdoor activities and it is also considered the festive season time of the year. The most popular festival in Bhutan is the Tshechus (masked dance festival). Tshechus are an annual sacred religious event where monks perform meticulously choreographed dances wearing mask depicting pantheons of Buddhist doctrine guardians and deities. The dances are believed to invoke deities to bless the congregation. Some of the popular Tshechus are the Thimphu, Paro and Punakha Tshechus. 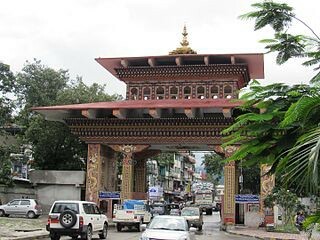 There are two ways of getting into Bhutan; flying into Paro International Airport or via road through Phuntsholing, Gelephu or Samdrup Jongkhar. The country being landlocked does not have any access from sea. As majority of the popular tourist places are in the western part of Bhutan, most tourists prefer to fly into Paro, a one hour drive from the capital city, Thimphu. Both airlines offer similar airfares and service. Its only a matter of finding available seats. You can either book your flight tickets directly on the respective airline’s website or through your travel agent. 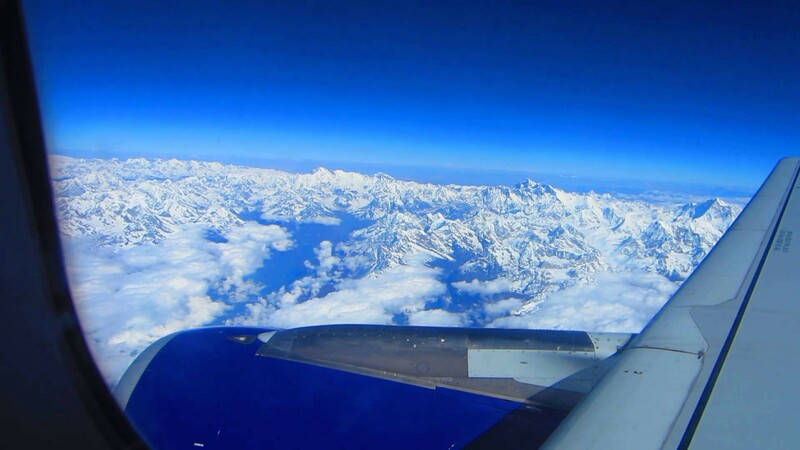 While the final approach to Paro airport can be exhilarating with the plane maneuvering the high mountainous terrains regardless of which city you fly in from, flights particularly from New Delhi and Kathmandu to Paro, Bhutan can enjoy a spectacular view of Mount Everest. You will need to manage a window seat on the left side of the plane on your flight to Paro. Tip: If you are planning to visit Bhutan during the high tourist season, plan and book your trip at least 3 to 4 months in advance as airline seats and hotel rooms get fully booked. 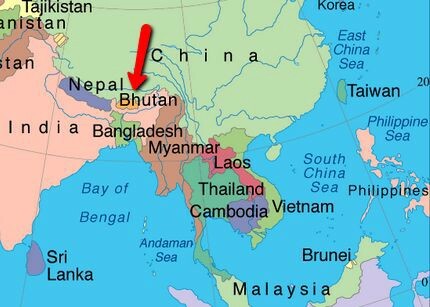 If you plan to tour parts of India (West Bengal & Assam) before your Bhutan trip, it would make sense to enter Bhutan via road through its southern borders with India. Also, if you do not get seats on the above two airlines, you could fly into Bagdora airport at Siliguri (West Bengal, India) on an Indian airline and then get to Phuntsholing (Southern Bhutan) which is just 200 kms away. You can have your tour operator arrange to pick you up at Bagdora. 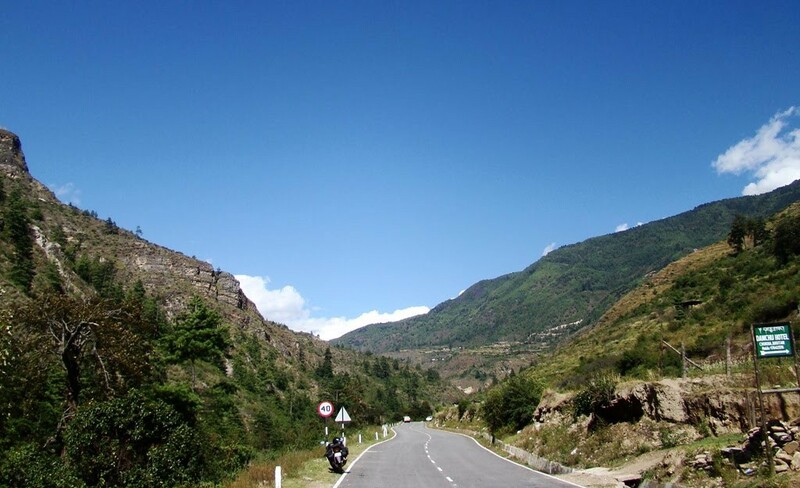 The drive to Thimphu from Phuntsholing takes around 5–6 hours depending on road conditions (foggy during the monsoon). There is so much to see in Bhutan and it all depends on the duration of your tour. If your trip is one week or shorter, you should stick to the western part of Bhutan. Places in this region include Paro, Thimphu (the capital of Bhutan), Haa, Punakha, Wangdue Phodrang and Phobjikha. 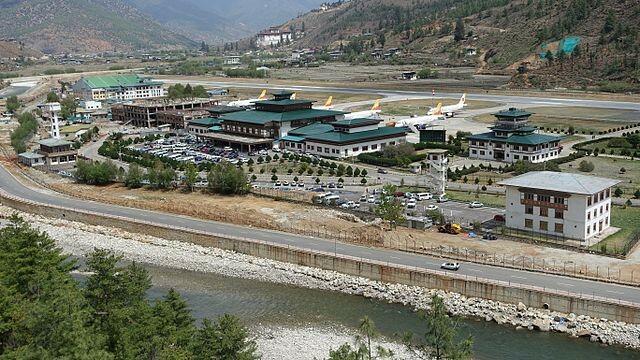 Sitting in a wide beautiful valley is Paro, the home to the only international airport in Bhutan. The ever so popular Paro Taktshang (tiger’s nest) is also located here. If you come by air, this will be your point of entry to Bhutan. Places to visit in Paro: Paro Taktshang (includes a 3 hour hike), Drukgyel Dzong, Tamchog Lhakhang, Paro Rinpung Dzong. A 1 hour drive from Paro is Thimphu. A city of about 200,000 people, it is one of the smallest and least populated capital cities in the world. Places to see in Thimphu: Tashichodzong, Buddha Dordenma (Buddha point), Motithang Takin Park, Folk Heritage Musuem, Authentic Craft Bazaar, Centenary Farmer’s Market, Semtokha Dzong. The valley of Phobjikha is known for the famous endangered black necked cranes. The vast marshy land spread in the center of the valley remains protected. These migratory birds fly to the valley from Tibet every winter before flying back in early spring. The quaint valley is an ideal destination to get away from the world and find some quality solitude moments. If you plan on a longer duration tour, you should visit parts of central and eastern Bhutan like Bumthang, Trongsa, Tashigang and Tashiyangtse. If you want to know about interesting places in Bhutan, we have compiled an comprehensive list of places and attractions in Bhutan on our website. As part of the packaged tour, your accommodations in Bhutan will most likely be selected and arranged by your travel agent. That is not a bad thing though, as tour operators are mandated by rule to arrange accommodations in properties that are rated 3 star and above, verified by the Tourism Council of Bhutan. However if you do have a preference for a certain hotel, or prefer a farm stay to a hotel, your tour operator should be willing to arrange it for you. Clean rooms (min. 6 sq. meters) with windows, proper ventilation, clean sheets, towel, blanket, etc. There are high end hotels and resorts ($300 upwards a night) in Bhutan, notable ones being Aman Resorts (Thimphu, Paro, Punakha, Gangtey, Bumthang), Uma (Paro, Punakha), Taj Tashi (Thimphu), Le-meridian (Thimphu). If you would like to stay at these properties, ask your tour operator to arrange it for you, for which you will be asked to pay extra when you book your tour. Besides the usual hotels and resorts, there are many farm stays available in Bhutan. You will be spending the night in a traditional Bhutanese farm house, giving you plenty of time to interact with a real Bhutanese family and experience the delicious local food they cook for you. During the day, you could watch or partake in the daily village life in Bhutan. If living in a farm house makes you uneasy, you’d be glad to know that all farm stays are inspected and certified by the Tourism Council of Bhutan, and are equipped with all basic amenities for a comfortable stay. Paro and Punakha offer a lot of farm stay experiences. Tip: It is best to decide and ask your travel agent to arrange your choice of accommodation in advance during your tour booking process. Rice is the staple diet of Bhutan. Bhutanese eat A LOT of rice and is part of every meal they eat. Chillies and cheese are also a Bhutanese favorite, the hotter the chillies, the more liked they are. Chillies are called Ema and cheese, Datsi. If you are wondering, Traditional Bhutanese food is not the only food you get in Bhutan. There are hundreds of restaurants offering varieties of cuisine, from Indian to Vietnamese to Thai. Where and what will I be eating in Bhutan? Your tour package already includes the cost of all meals during your entire tour, however, that does not include expensive meals at high end luxury resorts/restaurants. If you choose one of those expensive options, you may be asked to foot the bill yourself. Unless explicitly mentioned by yourself, you’ll be eating your breakfast at the hotel you are staying. The lunch and dinner will be arranged at different restaurants (supposed to be only at TCB certified restaurants, however TCB cannot monitor every meal plan of every tourist), and will most likely be set meals or buffets. 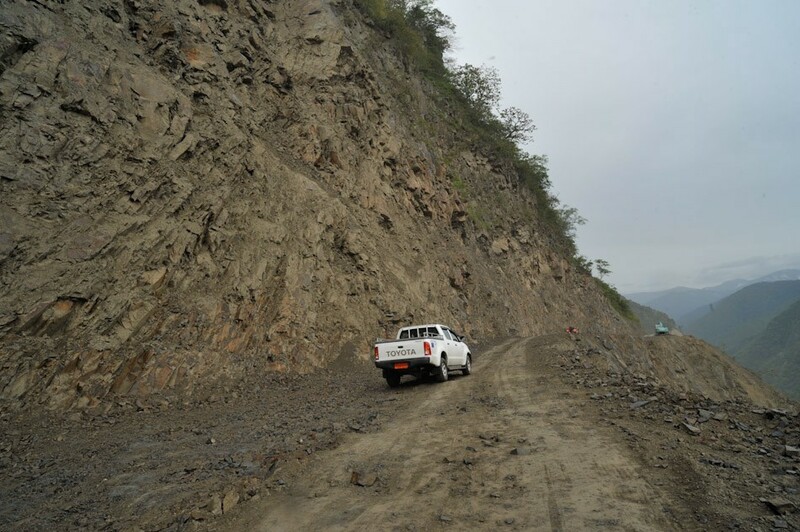 You will be traveling along twisty mountain roads that climb mountain passes and go through rural villages in Bhutan. If you can keep yourself awake through the journey, you’ll be rewarded with beautiful sceneries and landscape. Tip: Bring along your motion sickness medications if you are prone to getting car sick. These twisty roads are much worse than the expressways you’re used to. 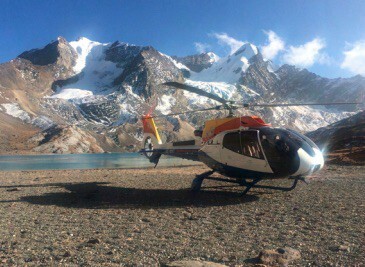 The helicopters are operated by Royal Bhutan Helicopter Services Ltd. (a state owned enterprise) and the aircrafts were bought brand new in 2015, piloted by certified international pilots. Most international carriers should also have roaming agreements with them, if you need roaming on your phone. Probably best if you ask your carrier about their roaming service in Bhutan before your trip. If your tour includes a trek, there is limited or no mobile phone coverage during the trek. Your tour operator should have a satellite phone that can be used in terms of emergencies. Ask them them to make sure they do. Almost all hotels in Bhutan offer Wifi to their guests, however some hotels have limited it just to their lobby area and some charge extra for the service. Although tipping is not mandatory or expected, it is more than appreciated. You do not need to tip at restaurants, as they already include a service fee to the cost. If your guide and driver go out of their way to help you and make your trip as pleasant as possible, you can go ahead and tip them at the end of your trip as token of appreciation. If you are unsure about something on your trip, ask your guide. If you found this guide helpful, please tap the clap icon.